When your staff have been added as Portal users, they will be able to track their time in WorkSpace Portal, even when they are out of the office. Be sure that the Time Tab has been enabled in your portal customization options. There are two view types in the WorkSpace Portal Time Tab. The first, Day View, works almost exactly the same as the Time tab in WorkSpace. First, select the day you are recording time for. Then, select your client, project, work code, start and end time or quantity of hours, plus any notes. Expenses cannot be recorded here, but they will reflect the amount entered in WorkSpace. The other view type is Week View. 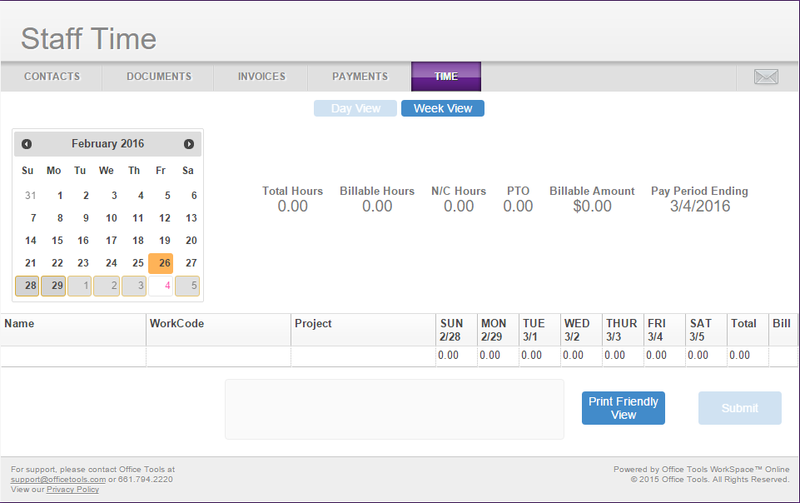 Week View will allow you to create timecards for one client across multiple days at a time. Select a client, work code, and project, then enter the quantity of time for each day. You will see a total of the hours entered near the end of the row. 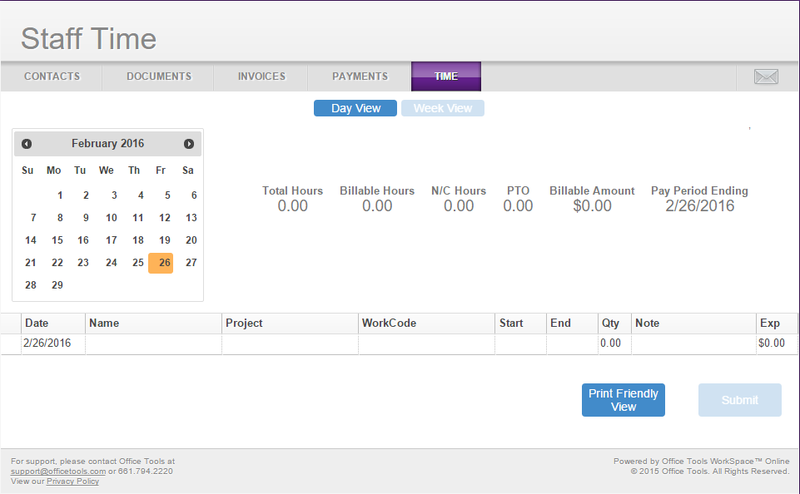 If this work code has been marked as billable, you will also see a checkmark in the Bill column. For both views, when you are done entering your time, click the Submit button in the bottom right corner of the page. If you would like to print out your time, use the Print Friendly View button also located in the bottom right. Why is the Portal saying “This Feature is coming soon”?